Your skin is your largest organ; it’s also the most sensitive one for many people. Susceptible to wrinkles, discoloration, breakouts, and more, your skin is your body’s first defense against harmful components in your environment. You should consider building on your natural defense system, instead of utilizing a routine that counteracts it. White tea does just that and more for your body. 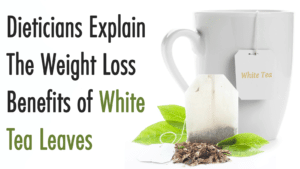 White tea is more than a weight loss drink. Tea provides essential building blocks inside and outside of your body, but you’ve likely overlooked white tea benefits. Unlike its sisters, black and green, white tea retains high concentrations of antioxidants because after harvest processing is minimal. The Chinese native Camellia sinensis plant gives us white tea. Growers harvest immature buds and leaves and steam them to lock in nutrients. As a drink, it has a light citrus profile that many people enjoy drinking hot or cold. You can also apply it topically with or without a carrier, and you can find it in the form of an extract. White tea leaves are readily available at most stores and online, which makes it a convenient and a low-cost way to boost your natural skin and beauty care regimen. Whether you’re purchasing an extract, loose leaves, or in tea bag form, you should seek out organic varieties that are free of pesticides and harmful chemicals. Be sure to use filtered water when brewing too. White tea can work with your skin to restore its natural immunity to harsh chemicals and oxidation stress, like prolonged sun exposure. In higher concentrations, like an extract, it may also delay signs of aging. Epigallocatechin gallate (EGCG) is a powerful polyphenol found in all three types of teas, but it does have poor oral absorption, which is why you should apply it topically too. What else can white tea do? It kills germs and bacteria, like Strep. Studies show white tea extract is significantly more effective than green varieties at fighting germs in-vitro. Many researchers claim the findings support white tea having antiviral and antifungal effects too, and in the future, scientists may use it to develop treatments to help prevent disease. White tea offers astringent properties, which will be beneficial to your skin. Acne sufferers can use white tea to combat bacteria while reducing breakouts and protecting their skin. You can try one method or both. Alternatively, you can enjoy drinking two cups of white daily to flush out the toxins from your skin. • Steep two white tea bags or loose white tea leaves in boiled water. • Allow tea to cool (strain if you used loose tea). Did you know white tea is also good for your hair and scalp? Your scalp health is as important as your skin, especially if you suffer from dandruff or eczema. The University of Maryland reports that white tea benefits include anti-inflammatory properties. Antioxidants help strengthen your connective tissues while reducing dandruff and eczema. How you choose to use white tea leaves in your daily skin care routine is entirely up to you, and you can tailor its use for your concerns or conditions. You can add extracts to your favorite face mask recipe to boost benefits. Topically applied, white tea will do more for your skin than drinking tea alone, but you can do both to increase absorption and to harvest the internal benefits of white tea too. While no studies have reported allergic reaction, you could possibly be sensitive to white tea in a concentrated or topical form. You should do a skin test before applying any product, including natural ones, to your face or body. 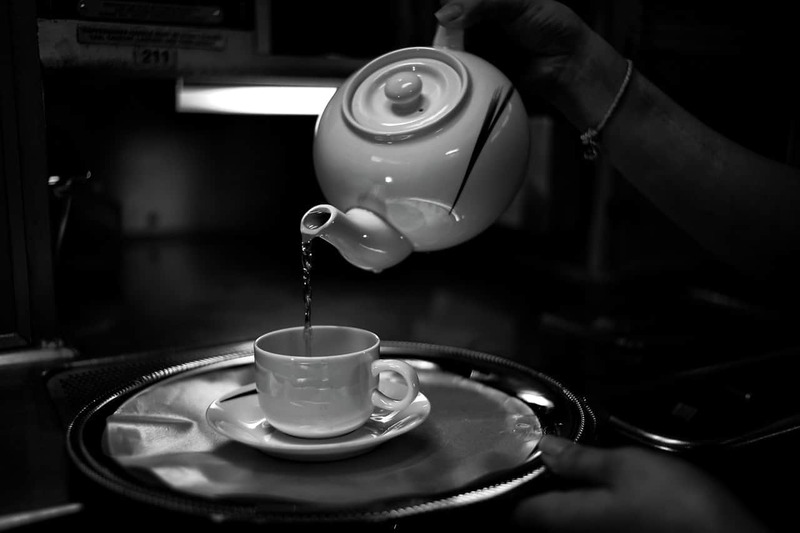 White tea leaves and buds do contain caffeine. People with sensitivities can usually consume white tea with no ill effects; however, some people may experience dizziness, agitation, accelerated heart rate, insomnia, and similar nervous system effects. 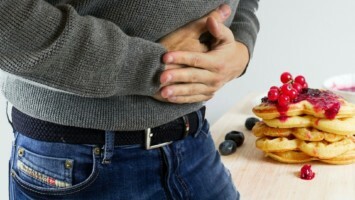 Extract varieties of white tea can cause gastrointestinal issues if taken in large quantities. It’s good practice never to exceed a product’s recommended dose. Due to its hindered oral absorption, you should consume white tea outside of mealtimes. Taking white tea with your iron supplement is another choice since the flavonoids do bind to iron, which increases its likelihood of a higher absorption rate. Tea offers many benefits in general for your health. Introducing white tea leaves can certainly give your immune system a boost from the inside out if you drink it, and it works from the outside in if you apply it topically. You can add extracts to your favorite beauty care products and shampoos too. With new studies and research, people are learning how beneficial natural ingredients are to our health and our skin when compared to chemicals and synthetic varieties. If you’re already living a holistic lifestyle, you know all aspects of our lives need a makeover or detox. For those starting out on this journey, you should evaluate every product on your shelf that touches your body or goes inside of you to make sure it’s both natural and safe.